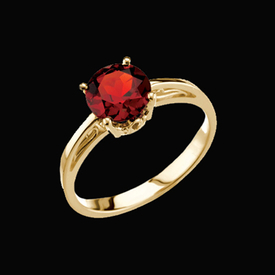 14k two tone gold Mozambique garnet ring. Genuine Mozambique garnet is an emerald cut AA gemstone that measures 9mm x 7mm. 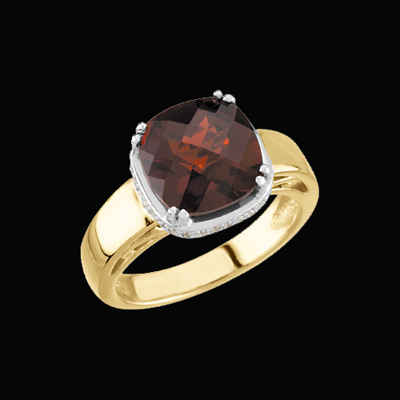 The Mozambique gemstone is a dark orange red color. Stock size 7. We're happy to offer additional sizes but keep in mind custom sized items are non returnable. 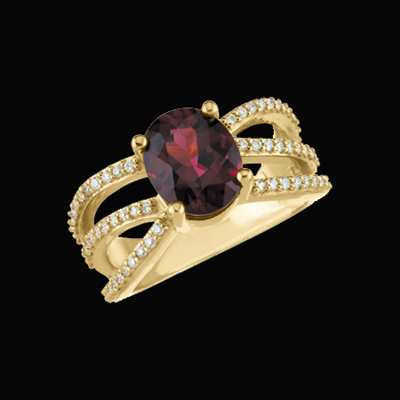 14k two tone gold garnet and diamond ring. A large mozambique garnet features a checkerboard cut and measures 10x10mm. Diamonds set under and around the garnet total 1/6ct tw. A very nice ring. 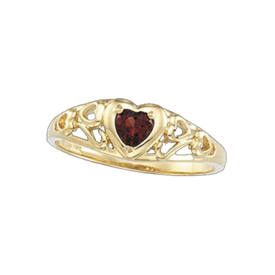 Delightful 14k Yellow gold garnet heart ring. A mozambique garnet in a heart shape measures 4x4mm and is outlined in gold. Little gold hearts are also found on either side of this pretty ring design, a fantastic gift. Gorgeous 14k Yellow gold Rhodolite garnet and diamond ring. Rhodolite garnet in the center of this great design measures 10x8mm oval, accent diamonds on 3 bands each side total 1/3ct tw. A truly gorgeous ring. 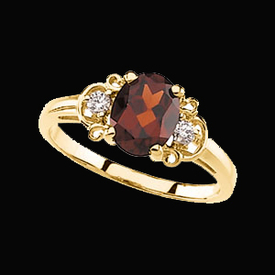 Pretty 14k Yellow gold Garnet and Diamond ring. Garnet is an oval shape and measures 8x6mm. Round accent diamond on either side of the center total about .06ct tw. A pretty ring, great gift. 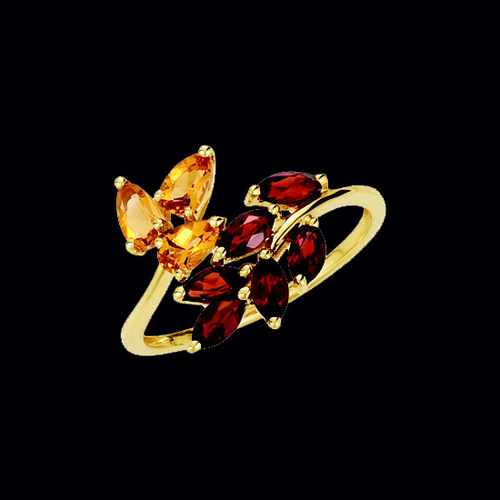 Pretty 14k Yellow gold Garnet ring. A 7mm round Mozambique garnet sits in the center focus in this ring. This ring is a great gift idea. 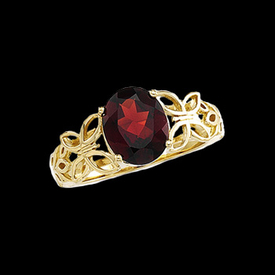 Garnets are the birthstone for January. 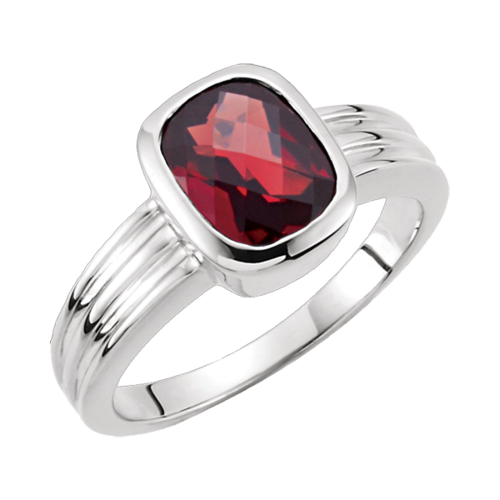 Beautiful 14k White gold Mozambique garnet ring. A genuine Mozambique garnet measures 9x7mm and is an antique cushion checkerboard cut AA quality stone. This ring weighs 6.7grams. Garnet Heart White Gold Ring. 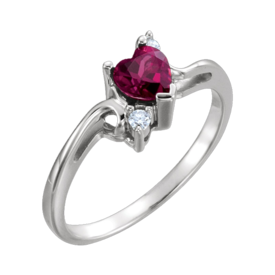 Such a pretty 14k White gold heart shaped Rhodolite Garnet and diamond accent ring. 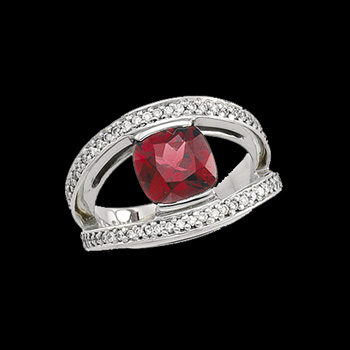 This ring features a 5mm heart shape garnet center with 1.7mm round diamond accents top and bottom. Stock size 6. 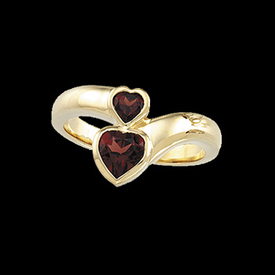 14k Gold double Heart design Garnet ring. 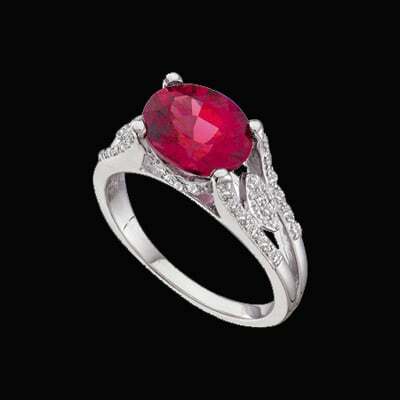 Romantic ring design holds 2 Mozambique garnets, a 6mm heart shape and a smaller 4mm heart. Whimsical design 14k yellow gold and Garnet ring. 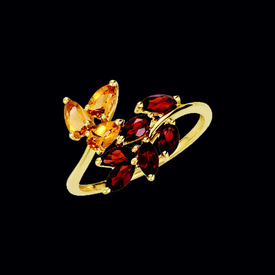 Garnet is an oval 10x8mm Mozambique Garnet and the ring features a butterfly design. Gram weight on this ring is 5.18grams. Ring measures 3mm wide at the base. Diamond Garnet ring. This unique split ring design features an 8mm square Rhodolite garnet and 1/3ctw diamond accents. You'll love this style, custom order with alternate gemstones. Stock size 7.